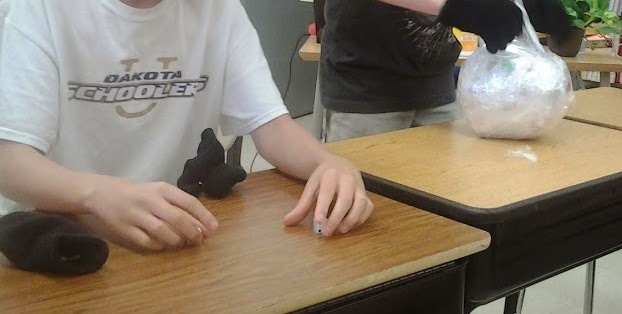 Here’s an activity I did last year with my 6th graders. It was a LOT of fun! 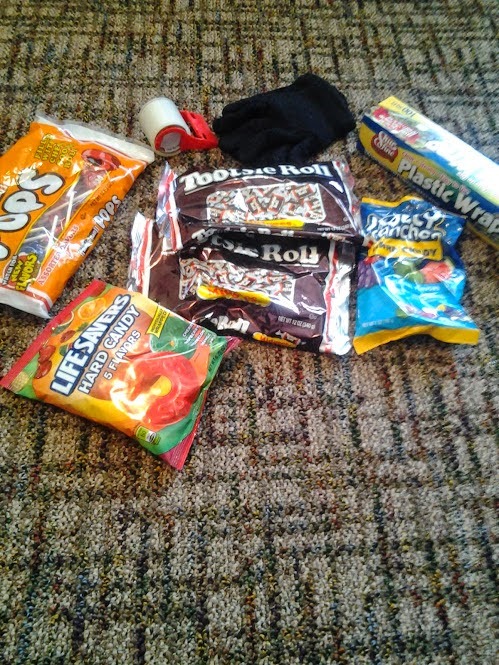 Get some candy. Anything will do! Keep in mind your students’ allergies. 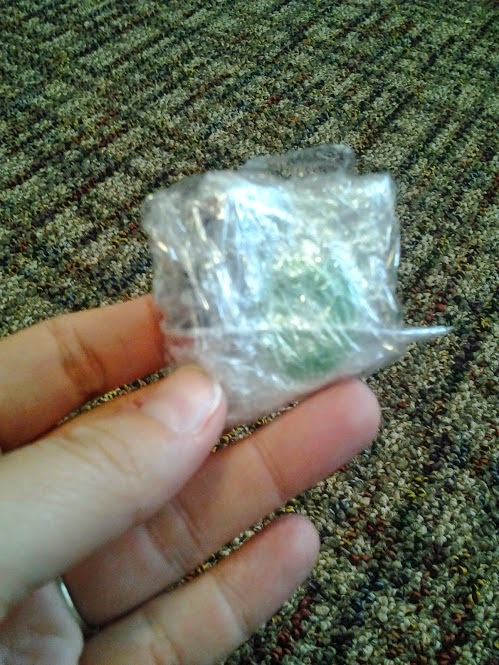 Take one piece of candy and put plastic wrap around it. 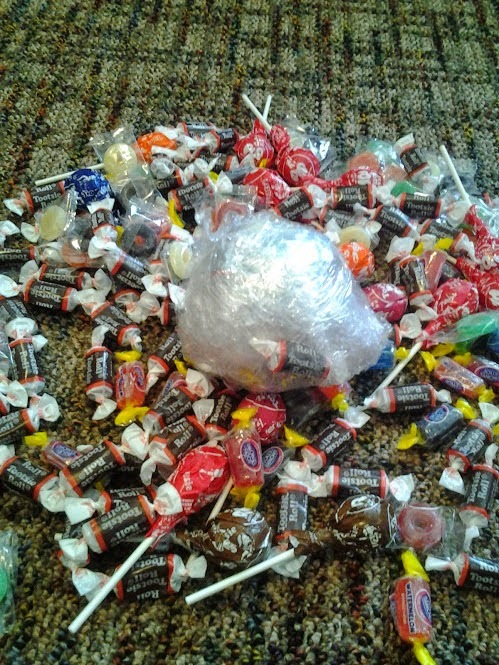 Continue to put 1-3 pieces of candy inside each layer of plastic wrap. There’s really no right or wrong way to make this! 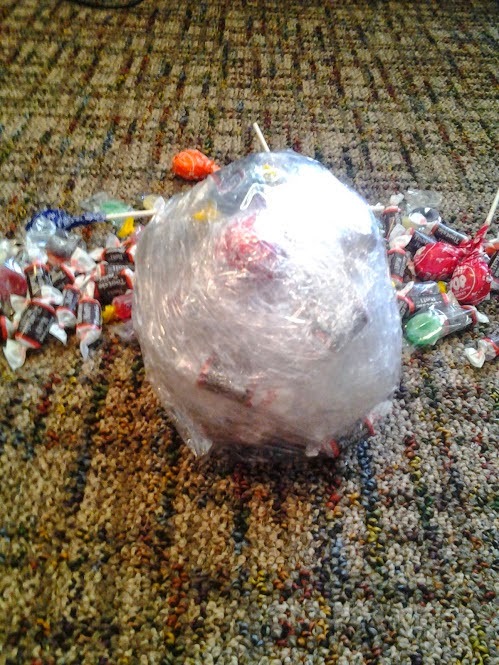 I’m guessing it took me about an hour to make the candy ball. And it was fun! It’s the perfect DIY project for sitting in front of the TV some evening. Were the directions above not clear enough for you? Watch this video to help you out! Now for the rules when playing. Get all players in a circle. I had three pairs of gloves (just the thin $1 type). 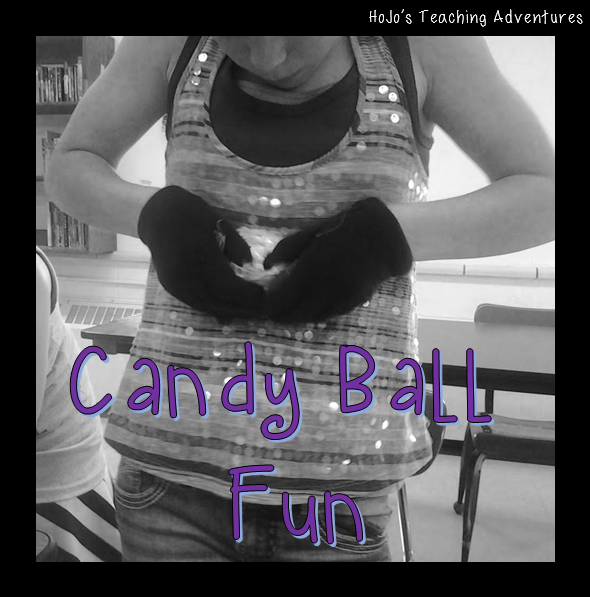 The person trying to get the candy, and the next two students had gloves. You also need two dice. I wish I could show you the video I took of this. It.is.HILARIOUS! 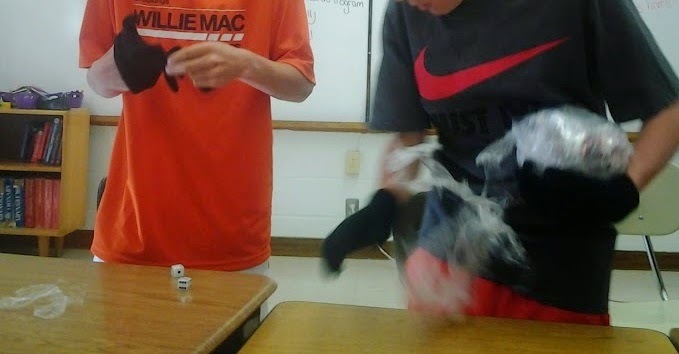 The students were screaming, laughing, and just having a great time! 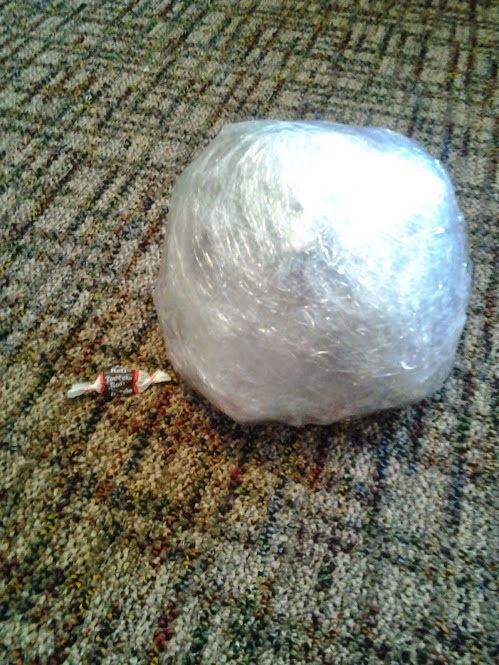 This ball lasted us about an hour. As you can see from the blurred photo above, things get pretty intense! 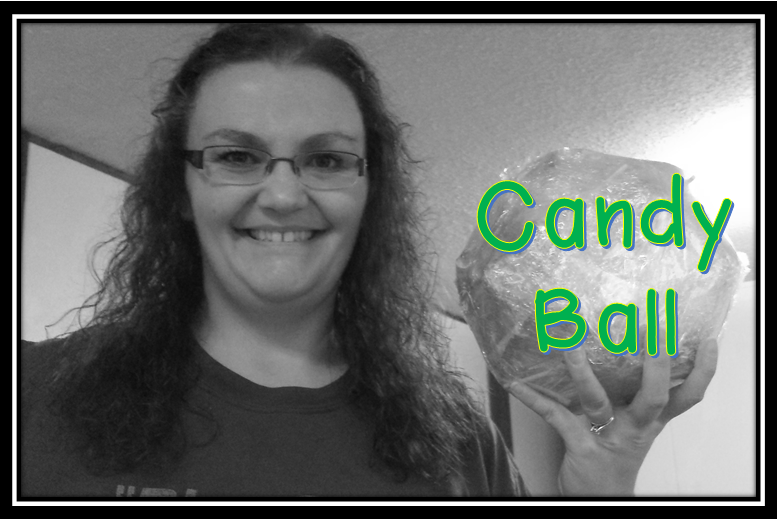 Let me know if you have any questions about how to make the candy ball. Hopefully I’ve explained the game well enough for you to understand. I think I’m going to use this for my son’s 7th grade class. My concern is that there are 28 students and some of they are very rowdy. Would you recommend dividing them into two groups and having two balls? I made this game for my daughter’s second grade class. To control the game a little more, as we only had 30 minutes to play, I had the kids unravel the ball with music. When the music stops, it is time to pass the ball. That helped to keep the game moving so everyone had a chance. We just kept going around the circle until we were out of time. Thanks for the idea! It was so much fun to make and to play! Can you temember how many layers you used?